In need of expert Bellingham shower and tub installation and repair services? Contact the skilled professionals at Eagle Plumbing & Heating at (360) 318-9999. Click here to save on several of our valued services. In the life of every homeowner there comes a time when even the most reliable appliances and fixtures take a turn for the worse. That is why it is important to have a reliable plumbing company that you can count on to provide prompt and quality service at a reasonable price. At Eagle Plumbing & Heating our trusted professionals are dedicated to correcting any plumbing issue that residents in and around Bellingham may be experiencing. With our professional maintenance, installation, and repair services we can ensure the optimal efficiency of all the systems in your home. 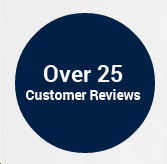 To read reviews from other customers in your area on our expert services, click here. What are some signs that it is time to replace your shower or tub? Our knowledgeable professionals are trained to spot any issues that may indicate the need to replace your shower or tub. Minor problems can usually be handled with our professional repair services, but more extreme situations may call for the installation of a brand-new unit. Outdated or faulty hardware will show signs of aging, as chips or rust begins to show. If water is draining slowly from your shower or tub or pooling on the floor after a bath, replacement services are likely needed. Leaks that cause water to gather around your fixtures can grow in size very quickly, and potentially result in a major flood, causing extreme damage to your home. The experts at Eagle Plumbing & Heating can determine the severity of the issue and take the most effective approach to eliminate the problem. What are 3 different types of showers? Eagle Plumbing & Heating has paid close attention to the changing trends in bathroom fixtures. From shower and tub combinations to stand-alone units, we have come to know the most popular styles and varieties. Steam showers allow homeowners to set the temperature to their liking, so they can simply sit down and let the steam wash over them. Electric showers are designed to increase the temperature of your water through the use of a heating element. Mixer showers fuse cold and hot water together. The hot water is produced from your heating system, while the cold water comes directly from your main supply. These systems are extremely popular and normally flow faster than other units. What are 3 different types of tubs? As far as tubs go, there are many sizes, styles, and shapes. However, there are really only three categories: freestanding, corner units, and drop-ins. The kind of tub seen in most apartments and standard homes is the drop-in tub. It is enclosed by three walls, which are most often tiled. The freestanding tub exudes an elegant, antiquated style that many homeowners love. However, with a freestanding tub the plumbing is usually exposed, so homeowners need to be extremely careful around this particular unit. Corner tubs are five-sided and can seat up to 3 people. Even though they require more water corner tubs are tremendously spacious and comfortable. What are some simple ways to maintain these units? Once you have acquired the perfect tub or shower, you will want to ensure that it is properly maintained. There are some simple things you can do at home to keep your unit in perfect condition. A good tub and tile cleaner is a must. The continued use of proper cleaning products will keep your glass, walls, and tiles looking like new for years to come. If your shower surround is made of natural stone like, travertine, slate, or granite, a specialty stone cleaner is best. Look for a non-scratch, double-sided sponge to avoid damaging your finishes. Microfiber cloths are perfect for drying after a nice shower or bath. If you have a squeegee, that’s even better. Also, be sure to use drain catchers in all of your units to avoid potential clogs. For quality shower and tub services in Bellingham and the surrounding areas, get in touch with the specialists at Eagle Plumbing & Heating. Call us today at (360) 318-9999.